Clarityn Allergy tablets contain loratadine, which is proven to be non-drowsy, and gets you back to feeling normal and free from allergy symptoms with a single daily dose. Clarityn Allergy Tablets can relieve symptons such as sneezing, runny nose and itchy, burning eyes, whether these are due to hayfever or whether they occur all year round. 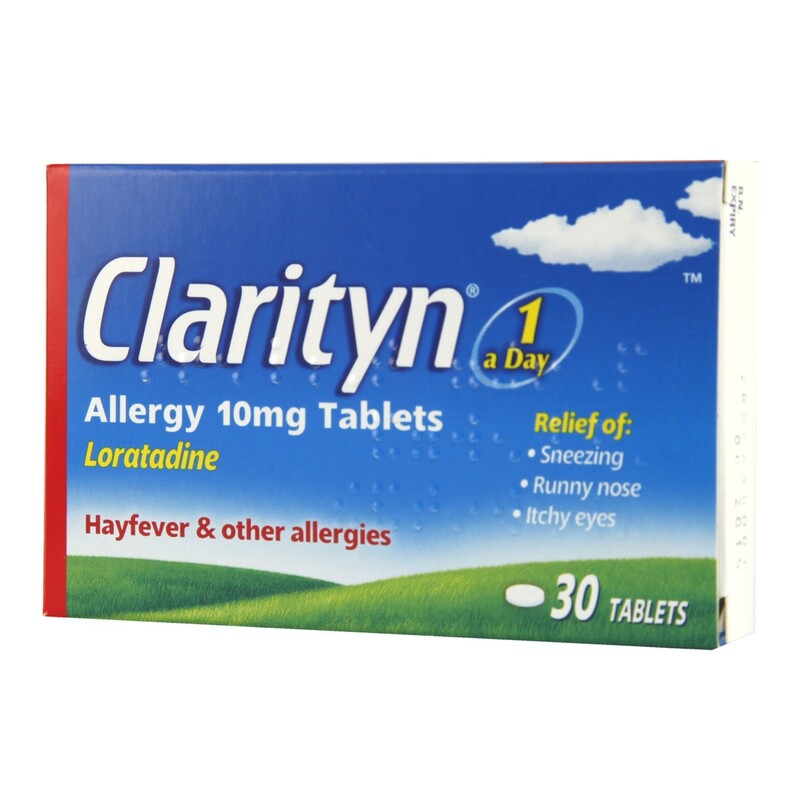 Clarityn Allergy Tablets may also be taken for allergic skin conditions such as rash, itching or urticaria (hives). Each tablet contains : Loratadine 10mg. Also contains: Hydrous lactose, Maize starch, Magnesium stearate. Adults and children over 12 years of age : 1 Tablet once daily. Children aged between 2 and 12 years whose bodyweight is more than 30kg : 1 Tablet once daily. Do not exceed the recommended daily intake. Do not take during pregnancy or while breast feeding unless advised by your doctor.Do not take if you are sensitive to any of the ingredients.Seek medical advice if symptoms persist.Always read the product information leaflet before using this product. Thank you for your interest in Clarityn Allergy (Loratadine) Tablets. Enter your email and we'll contact you as soon as it's available again.